There are two ways to share your VisualCV: With a live link, or as a PDF. 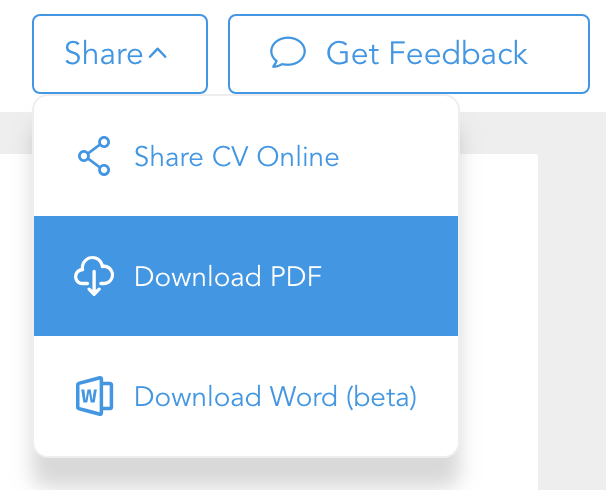 To share a link to your online resume, first click the Share tab. 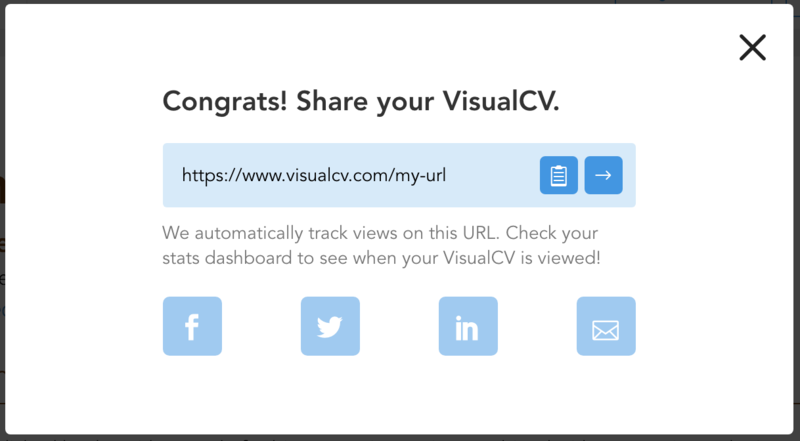 This will open a modal with sharing options for your VisualCV. This pop up contains buttons that will allow you to share your resume's URL directly with social media or email. You can also simply copy the URL yourself, to send out as you please. This will open your resume as a PDF in a new browser tab. From this tab, you can download the resume from your browser to send as an email attachment, host online, or print out at your discretion. Tip: You can also export your resume as a .DOCX by exporting it to Google Docs. Click here for more instructions.